In 1979 I was 16, in my last year at school in Luton and getting into radical politics off the back of a couple of years listening to punk. I was voraciously reading anything relevant I could get my hands on from local libraries and bookshops, which included that year Martin Walker's The National Front (dedicated to 'anti-fascists everywhere'), George Woodcock's The Anarchist Reader anthology and Gordon Carr's The Angry Brigade. The latter introduced me to the Situationists and I tried unsuccessfully to get Luton Central Library to find a copy of The Society of the Spectacle. 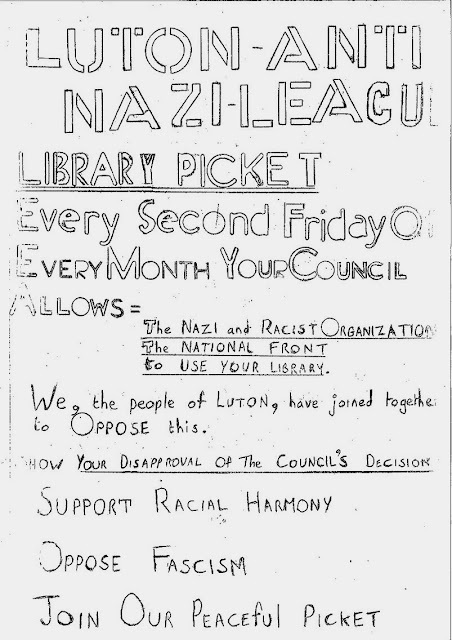 The actual radicals on the ground in Luton were a bit more mundane than my fantasy 1968 utopians, basically the Communist Party, the Labour Party Young Socialists (including 'Militant') and the Socialist Workers Party selling papers in the town centre. The Clash were my favourite band, and I'd read all about the great Rock Against Racism carnivals of 1977/78 (in fact I wrote off to Rock Against Racism to enquire about getting involved). 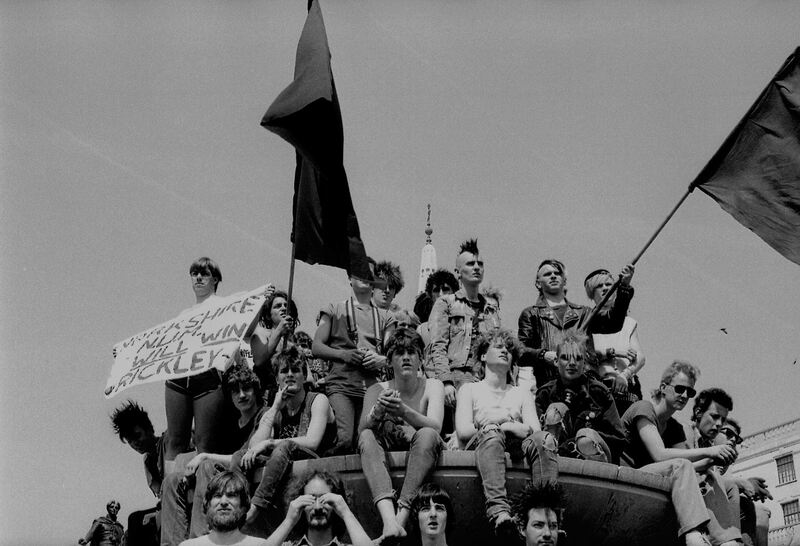 In the lead up to the May 1979 General election, conflict between the far right National Front and its opponents increased in intensity. There were riotous clashes in Leicester and on the 23rd April 1979 socialist teacher Blair Peach was killed by the police in Southall while taking part in protests against an NF meeting in that predominately Asian area of West London. The election, infamously won by Margaret Thatcher's Conservatives, nudged me towards participating in politics rather than just reading about it. 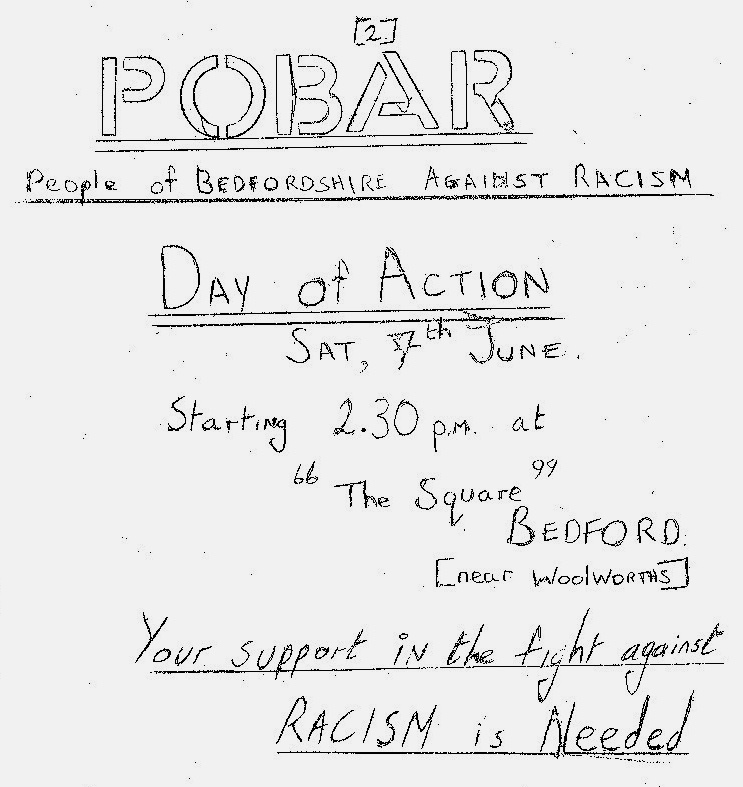 I went to see Tony Benn speak in Luton town centre (29/4/1979), but I still hadn't been on an actual protest. All that changed in June 1979. 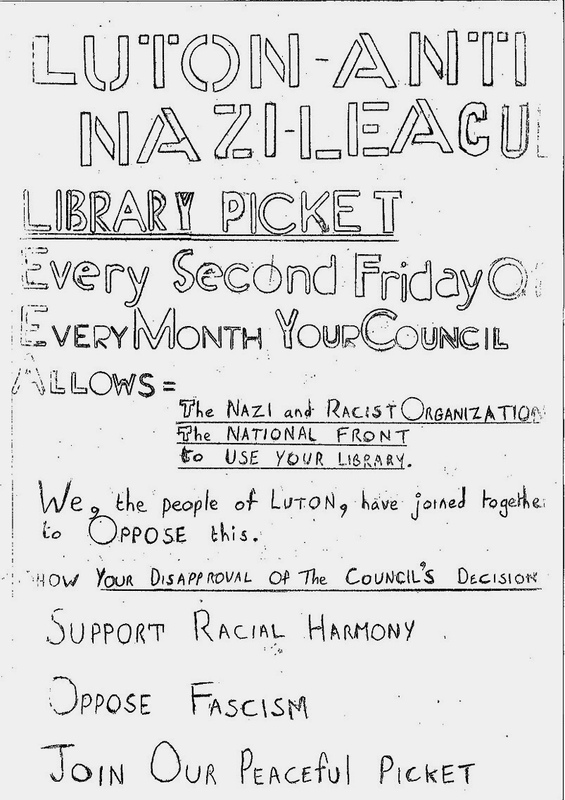 Someone I bought a paper off must have told me that the National Front were holding regular meetings at Luton Library with Anti-Nazi League pickets opposing them on the second Friday of every month. The NF had had a presence in the town for some time. 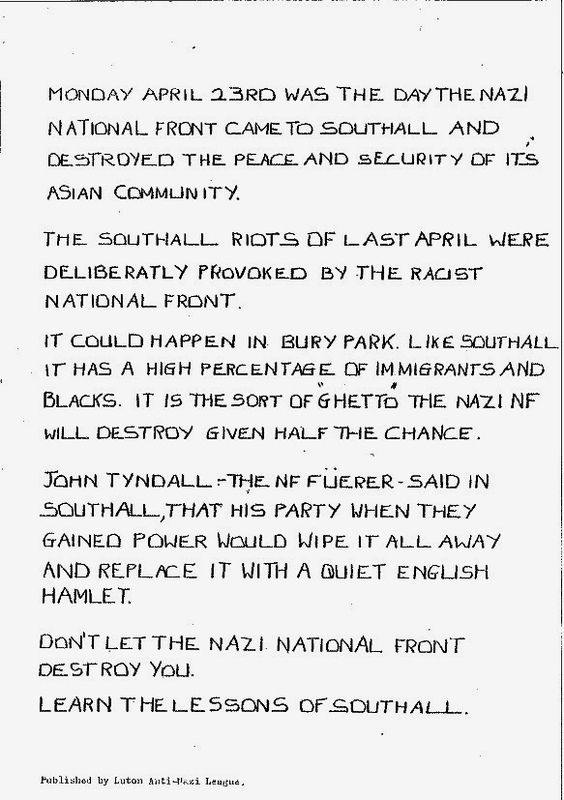 In February 1977, NF Chairman John Tyndall was greeted with eggs and chants of 'nazi scum' when he arrived to speak at a meeting in Luton Town Hall (Luton News 10.2.77). 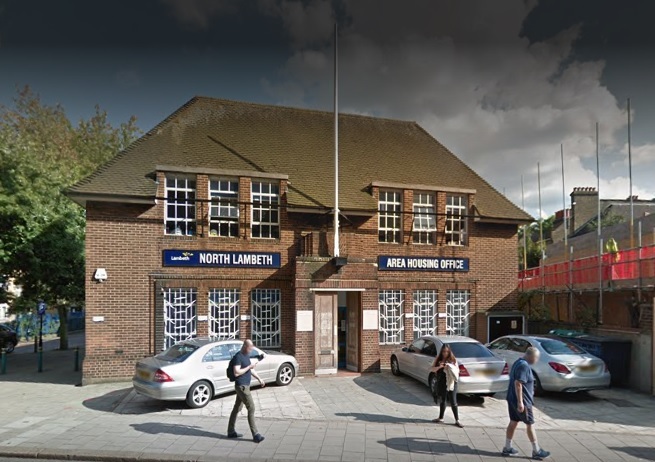 The NF stood candidates in both Luton constituencies in the 1979 general election, with Donald How securing 701 votes in Luton West and MG Kerry 461 votes in Luton East. 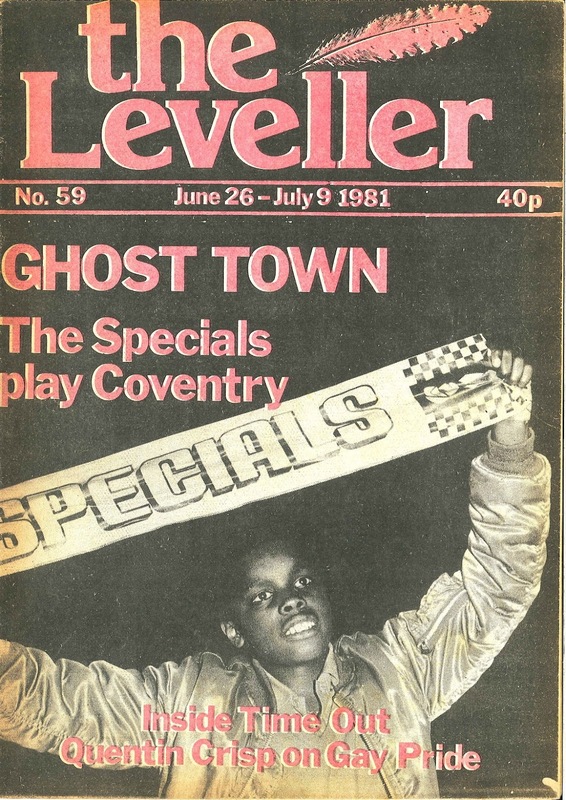 I approached my first protest on Friday 6th June 1979 nervously and excitedly expecting some kind of Leicester/Southall confrontation, if on a smaller scale. In the event it was all rather tame. There were about twenty of us picketing and a handful of suspected NFers sneaking in and out under the eye of a small number of police, a pattern that was repeated on subsequent similar protests over the summer. 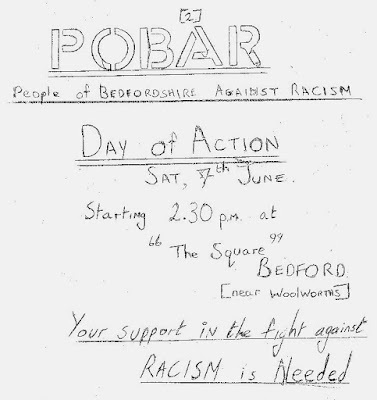 The very next day though a group of us from Luton travelled up to Bedford town where a group of racist skinheads had been making a nuisance of themselves. As we gave out our leaflets in the name of 'People of Bedfordshire Against Racism' there was a a brief stand off with far right skins and anti-fascists squaring up to each other before the former moved off. Afterwards we went for a drink at a local gay pub, another first for me. 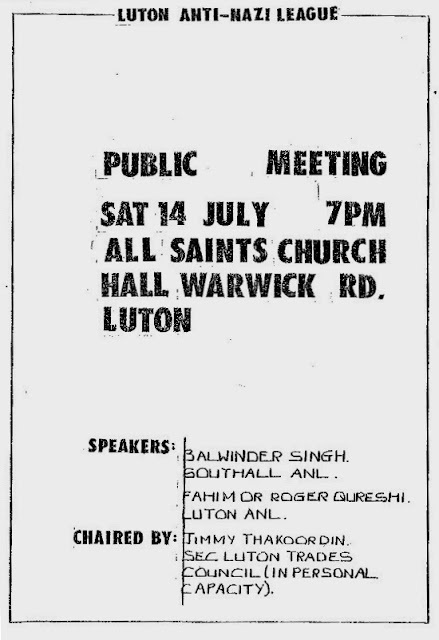 I heard a first account of the Southall events soon after, when I went to a Luton Anti Nazi League meeting with Balwinder Singh from Southall ANL. 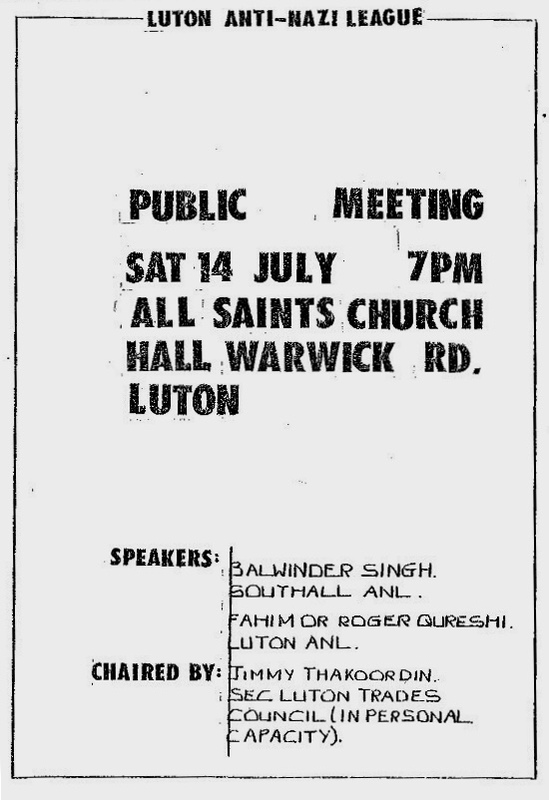 There were also speakers from Luton Trades Council (Jim Thakoordin) and the Pakistani Workers Association, and a collection for the Southall Defence Fund. I went to this meeting with a friend, David Heffer. Sadly he was killed in 1992 in an IRA bomb at the Sussex pub in London's Covent Garden. 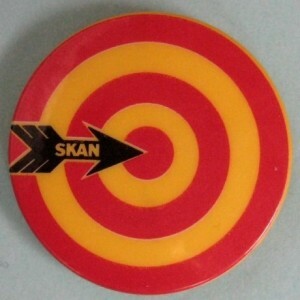 On my last day at school at the start of that summer I wrote in my diary 'bought a School Kids Against the Nazis badge, filled in a form to join the Labour Party Young Socialists, left school' (OK last day in school was a bit late to buy a school kids badge, but I did go on to Sixth Form College!). It was another year before I went on my first major anti-fascist demo. 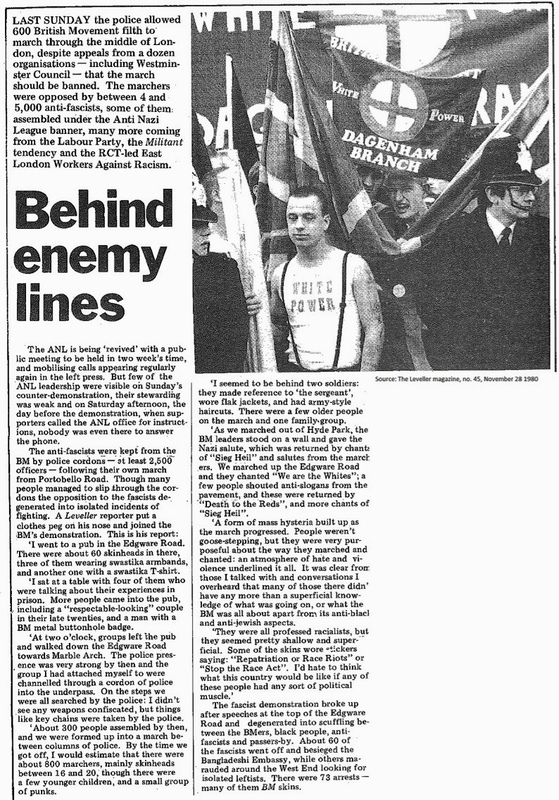 In November 1980, the neo-nazi British Movement marched from London's Hyde Park to Edgware Road chanting 'We are the Whites' and 'Death to the Reds'. According to this report in The Leveller magazine, there were around 600 BM 'opposed by between 4 and 5,000 anti-fascists' who marched from Portobello Road in Notting Hill. 2,500 police were also mobilised and my main memory is of endless rumours about the whereabouts of the British Movement and never actually seeing any fascists, though the Leveller reports that there were 73 arrests and some scuffles. 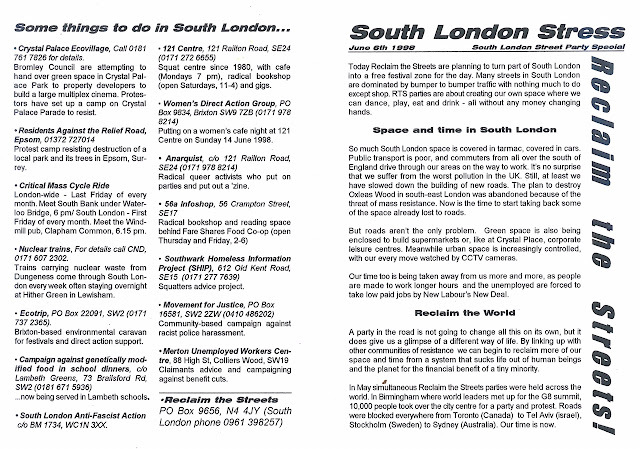 Afterwards a Luton comrade, who was Jewish, took me to a Jewish Socialist Group meeting at a flat in north London. So no great heroics, no Cable street or Lewisham-style battles... but maybe that was a good lesson. If you're in it for the long haul, you sure need to learn patience and low key local organising. On the counter-demo to the Tommy Robinson/UKIP 'Brexit Betrayal' march (December 2018). 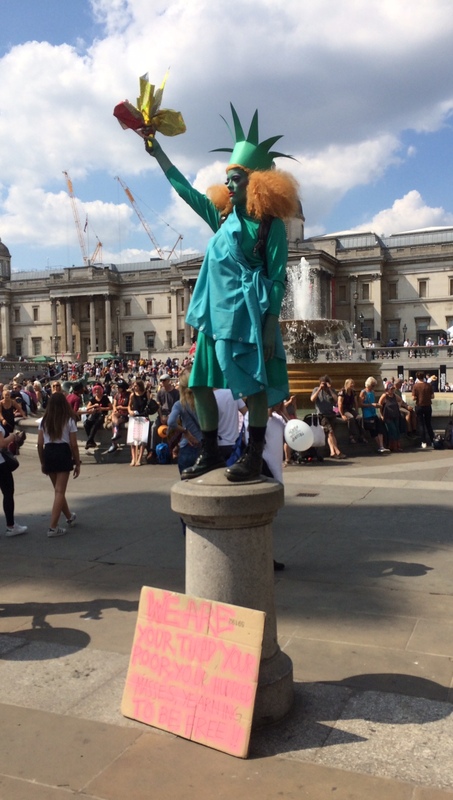 I actually saw somebody else who was there on that first protest of mine in 1979. Of course it's more than annoying that the leading figure on the contemporary British far right also comes from Luton. But hey, Tommy Robinson doesn't represent us (as recently pointed out by Ash Sarkar he doesn't even represent 52% of mortgage fraudsters). We have Nadiya Hussain, Stacey Dooley and the mighty Luton Town FC, we certainly don't need him. [I didn't stay in the Labour Party Young Socialists for much longer - that's another story - but nearly 40 years later I've been on quite a few more demos! The following year (1981) things hotted up further in Luton with the formation of an anti-racist Luton Youth Movement and a riot sparked by the presence of nazi skinheads in the town centre. I will come back to that another time]. from 'The Leveller' no. 45, November 28 1980. Sad to hear recently of the death of barber Andy Haralambous (1/06/1944 - 09/10/2018). For ten years from the late 1980s, Andy cut my hair regularly at his barber's shop at the bottom of Tulse Hill, Haircut Sir? In fact he cut my hair very regularly, as it was short and in need of constant attention. Andy was famous for his flat top haircuts at a time when this was the coolest hair style in town. I'd had my first a few years earlier at Cyril's in Canterbury, where I was a student. That first time, around my 20th birthday, I didn't even know what it was called, I had to point at some passing rockabilly rebel and say 'like that'! Not long after I started going to regular Thursday night sessions put on by Whitstable rockabilly band The Keytones at The Tankertons Arms there (this would have been 1983/84). 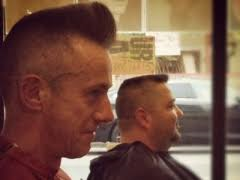 I gravitated towards punkier hair styles for a while, including a short lived mohican, but within a few years I felt the call of the full flat top again. In the 1980s, the flat top and variations of it were not confined to 1950s revivalists. 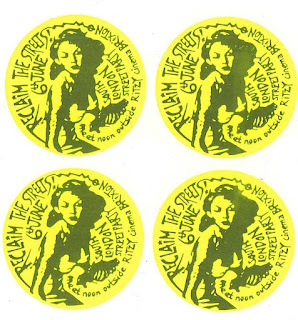 There was the whole psychobilly scene wtih gothish elements and various post-punk short back and side merchants from Kirk Brandon to Morrissey. There was a black hip hop version, and let's not forget Grace Jones. In the pre-rave warehouse party/rare groove scene, there were flat tops aplenty and it was the haircut du jour of young gay London (including many lesbians as well as gay men). When I moved to Tulse Hill Estate in Brixton in early 1987, I needed to keep my flat top sharp to go with my black Levi 501s and DMs for nights out at The Fridge and elsewhere. Andy was the local barber. But he was well known beyond the local area for his flat top skills - I remember him being mentioned in either Time Out or The Face, or possibly both, as doing one of the best flat tops in London. People came from far and wide. 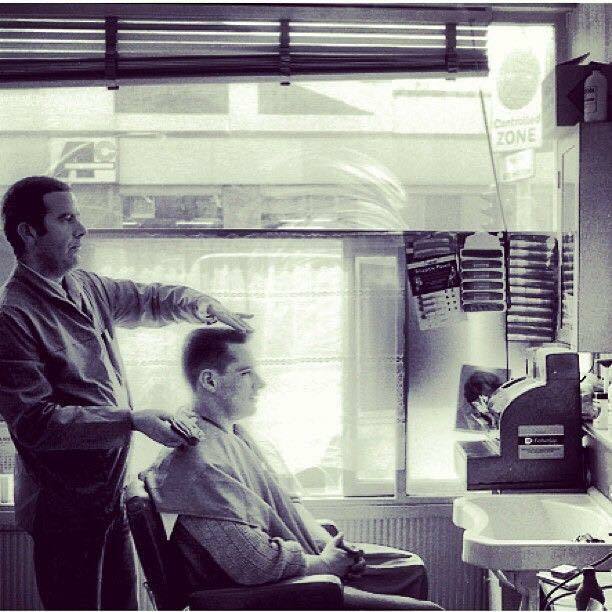 Like many London barbers, Andy was from Cyprus, like most barbers from wherever he enjoyed regaling his captive seated audience with his views on the state of the world! 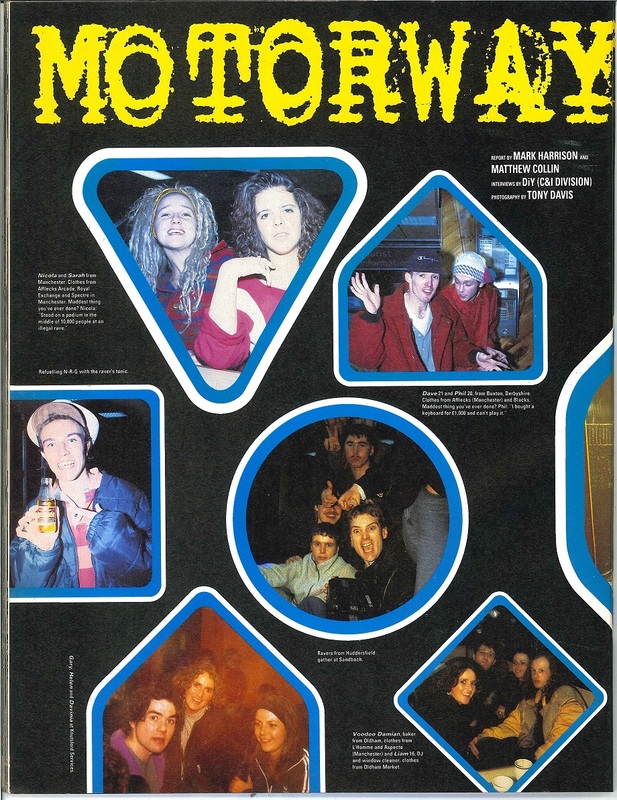 In the ecstasy fuelled 1990s long hair made a come back, but there was no going back for me. There might have been some colouring added at times, but it's short back and sides for life (well for as long as I have hair) even if I now have a not-so stark number 3 at the sides. I moved to New Cross in '96 and my regular trips to Andy's faded out. 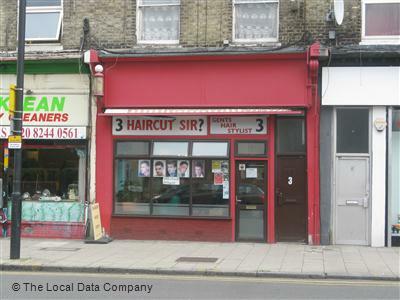 Nowadays I head to KRS Barber Station in Brockley where the clippers are wielded by barbers from the Turkish side of Cyprus. But Haircut Sir? is still going strong in SW2, where Andy passed on the business to his children. So long Andy and thanks for the haircuts. update: thanks to Andrew Brooks on Twitter for reminding me of Andy's standard introduction when somebody entered the shop - 'Cup of tea? Kettle’s there. Help yourself'. Of course if you did make one the etiquette was to offer one to Andy and anybody else queuing. 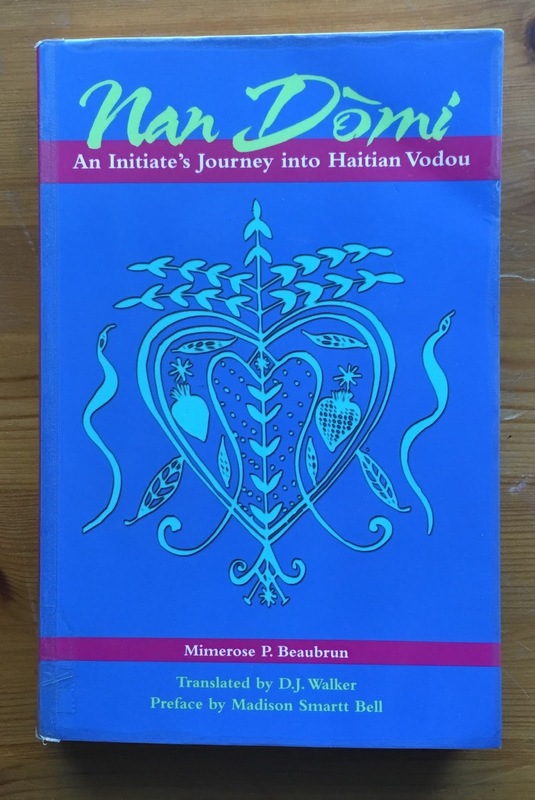 'The figure of the tyrant-monster is known to the mythologies, folk traditions, legends, and even nightmares, of the world; and his characteristics are everywhere essentially the same. He is the hoarder of the general benefit. He is the monster avid for the greedy rights of "my and mine." The havoc wrought by him is described in mythology and fairy tale as being universal throughout his domain... The inflated ego of the tyrant is a curse to himself and his world—no matter how his affairs may seem to prosper. Self-terrorized, fear-haunted, alert at every hand to meet and battle back the anticipated aggressions of his environment, which are primarily the reflections of the uncontrollable impulses to acquisition within himself, the giant of self-achieved independence is the world's messenger of disaster, even though, in his mind, he may entertain himself with humane intentions. Wherever he sets his hand there is a cry (if not from the housetops, then- more miserably—within every heart): a cry for the redeeming hero, the carrier of the shining blade, whose blow, whose touch, whose existence, will liberate the land'. Yes I know that Campbell's work is problematic in many ways, but there's something to think about in this descrition of a type even if we have to be our own collective redeeming hero rather than waiting for a knight in shining armour to save us... And on the subject of our collective potential, here some pictures from last month's protests in London. Donald Trump's visit saw one of the largest week day demonstrations in living memory on Friday 13th July 2018. 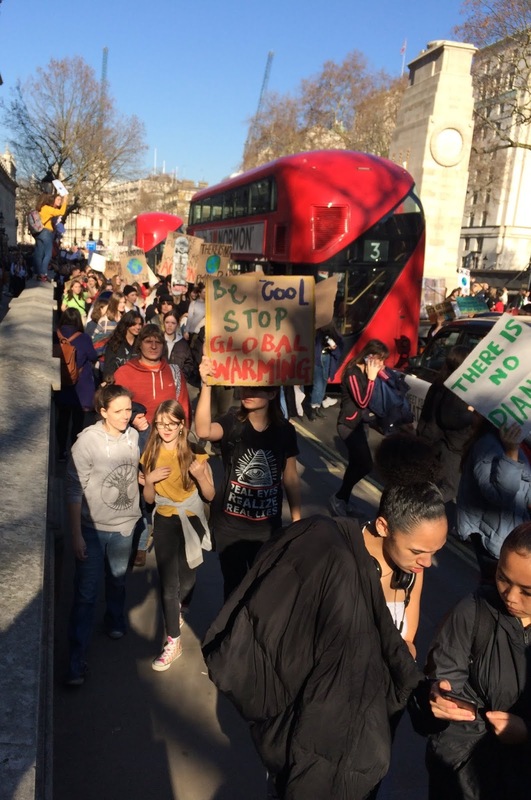 In fact there were two major demos over the course of the day, the second and largest featuring as many as 250,000 people marching to Trafalgar Square. 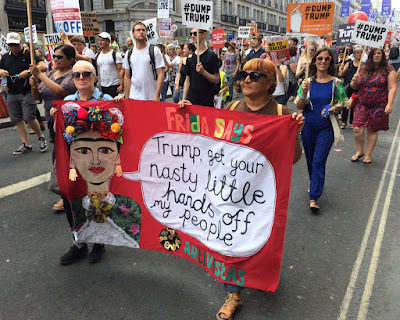 The next day a far right 'welcome Trump to London' march from the US Embassy attracted an embarrassing turn out of less than 200. But it was followed by a Free Tommy Robinson demo in central London that included activists from the UK Independence Party, PEGIDA (Germany), Breitbart, Generation Identity, the Swedish Democrats (SD) and France’s Rassemblement National (formerly the Front National), among many others. Figures associated with Trump such as his former strategist Steve Bannon have supported Robinson (former leader of the English Defence League), indicating a dangerous convergence between elements close to the White House and the previously marginal global far right. 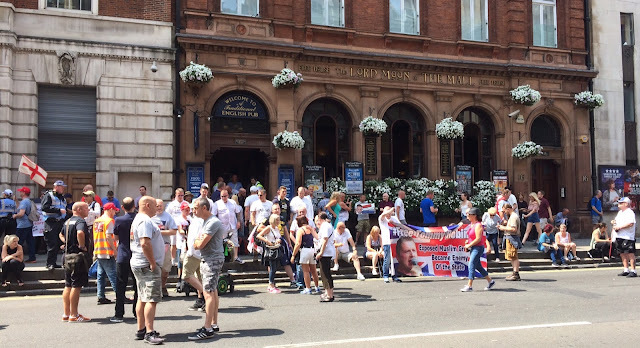 In size, this was a smaller protest than the Free Tommy demo in London a month before which ended in clashes with police (maybe 5000 compared with 15,000). 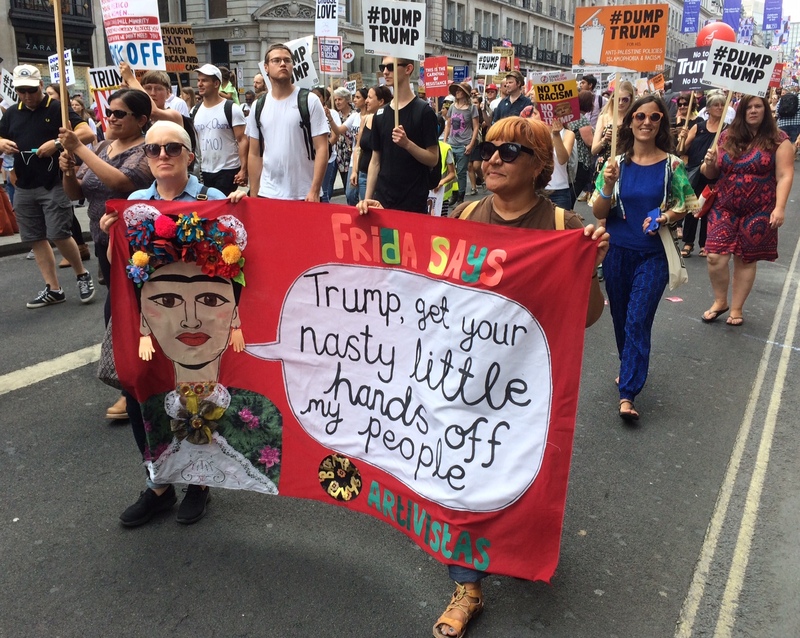 The counter demo was also more effective, including an Anti Fascist Network mobilisation (perhaps 3000 anti-fascists out on the day after the 250,000 anti-Trump protest - compared with a few hundred the month before). Still nothing to be complacent about, even if the immediate UK far right grievance has now been resolved with Robinson being released from prison. Globally the far right have been emboldened by Trump's success and believe that history is swinging their way. Last time some of their Tyrant Monsters achieved power it did not end well. 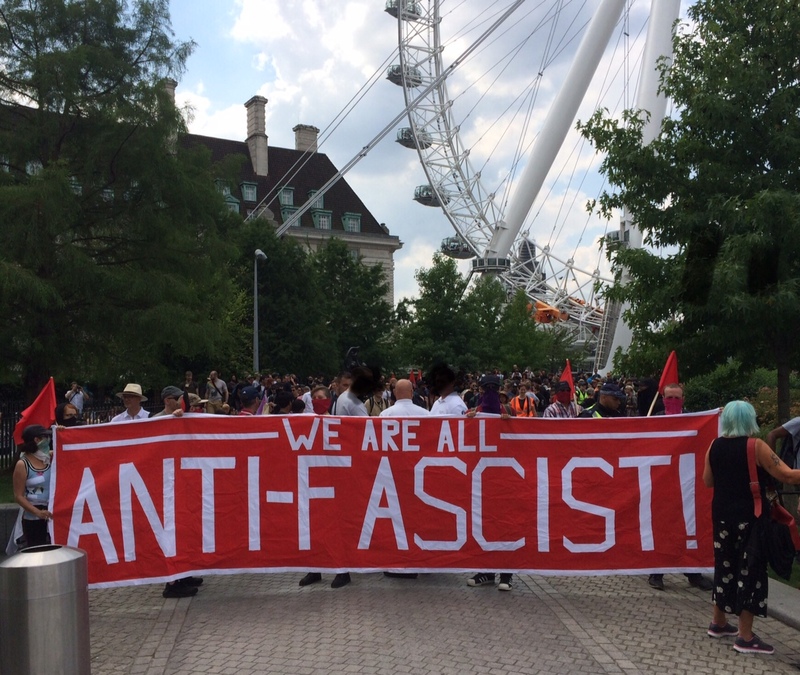 'We are all anti-fascist' - at Jubilee Gardens on South Bank from where marchers moved to Whitehall. '3 AM, Saturday morning. The M6 is windy, wet and desolate. Its rvice stations offer comfort only to lorry drivers and sleepy executives. For many weeks, however, selected services have paid host to the coffee and communal smoke of hundreds of ravers post club comedown. After the semi legendary Blackburn parties, police continually harassed the convoys criss-crossing Lancashire and beyond. 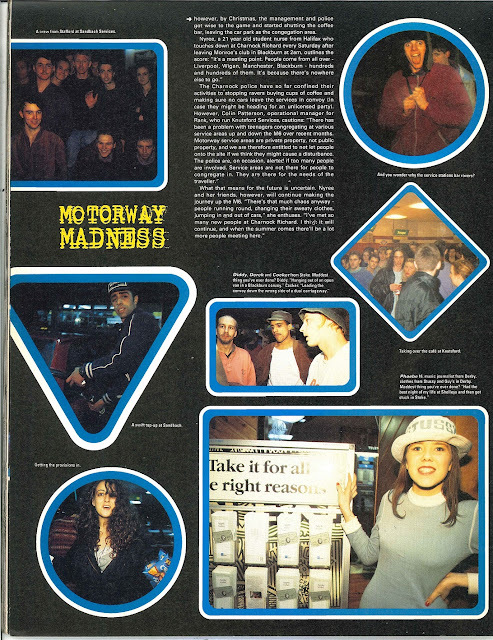 Although parties such as Revenge provided a brief replacement, the next best thing was driving long distance to a club and afterwards passing a few hours chilling at a service station. 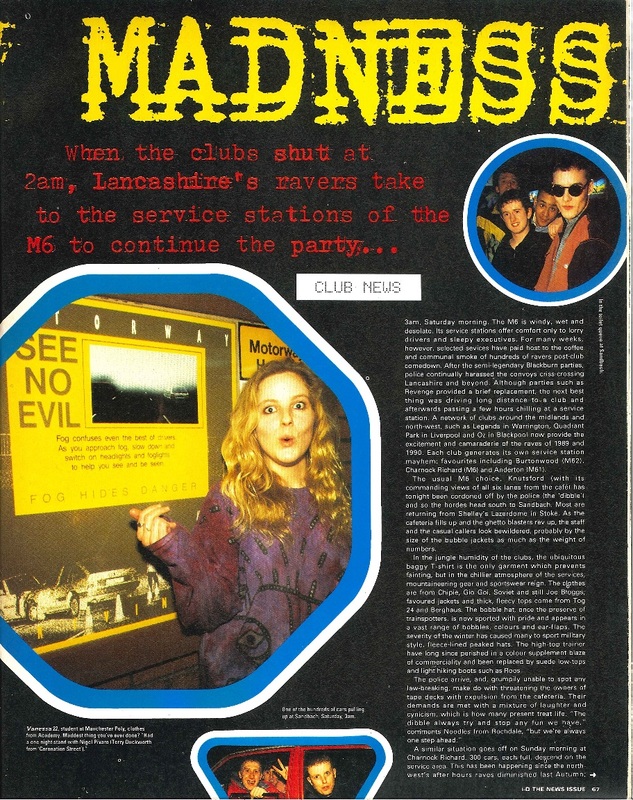 A network of clubs around the Midlands and Northwest, such as Legends in Warrington, Quadrant Park in Liverpool and Oz in Blackpool now provide the excitement and camaraderie of the raves of 1989 and 1990. Each club generates its own Service station mayhem; favourites including Burtonwood (M62), Charnock Richard (M6) and Anderton (M 61). The usual M6 choice, Knutsford (with its commanding views of all six lanes from the cafe) has tonight been cordoned off by the police (the “dibble“) and so the hordes head south to Sandbach. Most are returning from Shelley’s Laserdome in Stoke. As the cafeteria fills up and the ghetto blasters rev up, the staff and the casual callers look bewildered, probably by the size of the bubble jackets as much as the weight of numbers. The recent demonstrations during the visit by Donald Trump reminded me of demos against another controversial US President more than 30 years ago. In June 1984, President Ronald Reagan visited London to participate in a World Economic Summit at Lancaster House. This was during the period when US cruise nuclear missiles were being deployed in Britain in the face of widespread opposition. 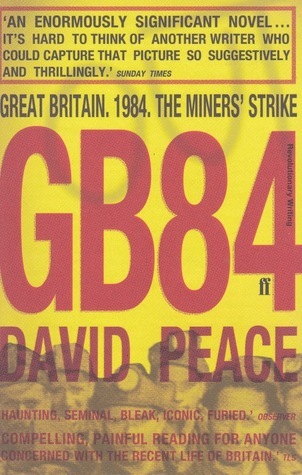 To coincide with the summit, the Campaign for Nuclear Disarmament and other peace groups called for demonstrations on Saturday 9th June 1984. 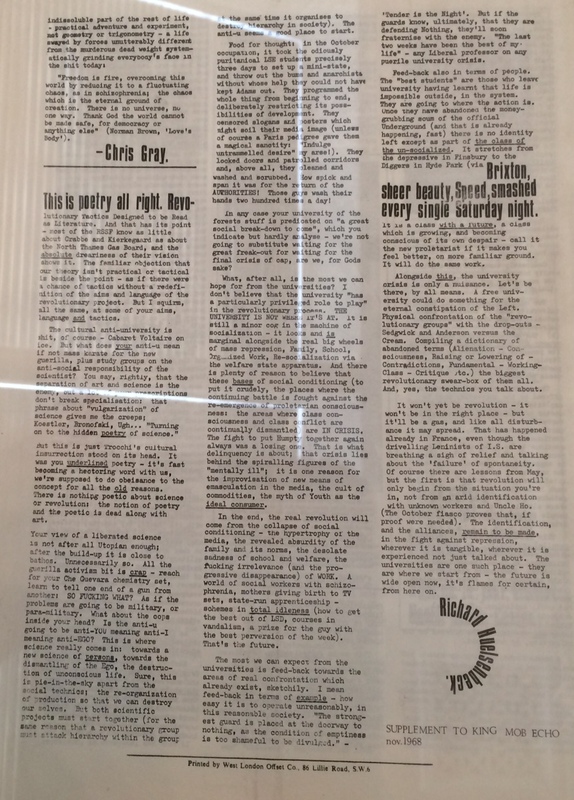 We know a fair amount about how these protests were viewed by the state as a result of the release of various official files relating to CND in this period, collected together at the Special Branch Files Project. 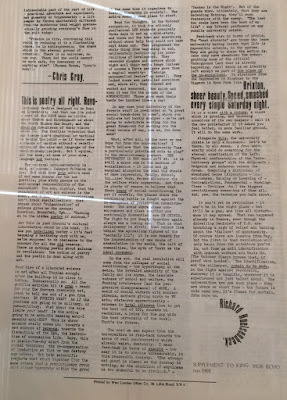 Home Office and police correspondence indicates that UK Prime Minister Margaret Thatcher was unhappy about the potential for news coverage of the demo distracting from the Summit. However she was advised that there was no legal basis to prevent the march and that in any event it would be impractical to enforce any ban. Summarising police advice, a note from Home Office F4 Division (Counter-Subversion/Terrorism) states 'unwelcome though this demonstration may be, there do not appear to be any grounds or powers to prohibit it'. The predicted large crowd would be 'a body of a size which cannot be physically prevented from moving if it wished to do so, and the police have proceeded throughout on the basis that some demonstration on these lines should be allowed to go ahead'. A note from Downing Street (28 May 1984) states that 'Mrs Thatcher agrees that we have to accept the judgement of the police on the handling of this demonstration'. 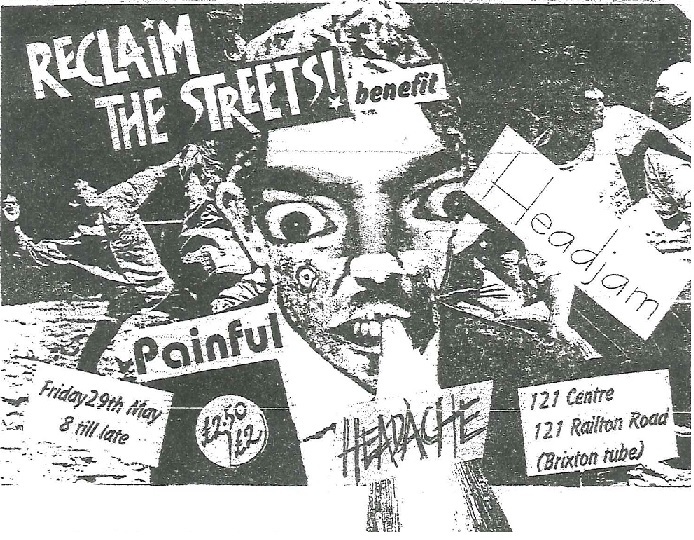 The Metropolitan Police Special Branch Threat Assessment of the protests was shared with the Home Office on 8 June 1984. 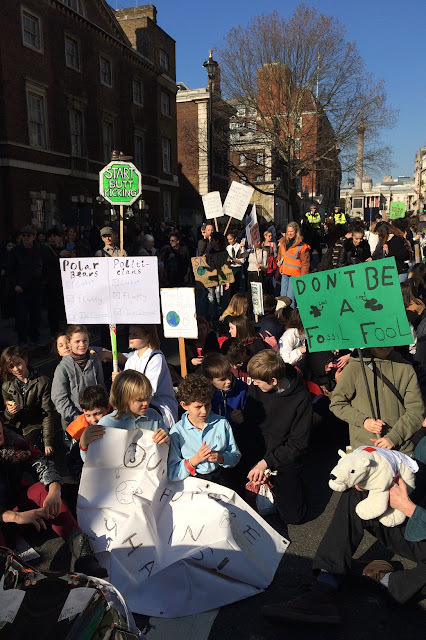 It advised was that the main event was to be the 'Return to Sender' march from Hyde Park to Trafalgar Square, expected to attract around 100,000 people (the name of the demo referring to sending back cruise missiles). In addition a non-violent sit down blockade of the US Embassy in Grosvenor Square was expected to attract 2,000 people. What the report describes as 'autonomous pacifists' under the banner of 'Summit '84' were proposing to undertake similar action to try and blockade Lancaster House itself. On the day, Reuters estimated that around 150,000 demonstrated (CND claimed it was nearer to 200,000). There were 214 arrests, including 13 who were arrested in the evening outside Buckingham Palace as Reagan arrived to attend a banquet given by the Queen (Canberra Times, 11 June 1984). 'The Class War Collective of Anarchists and its motley collection of punk anti-militarist followers are known to oppose the middle-class manner in which CND conducts itself. 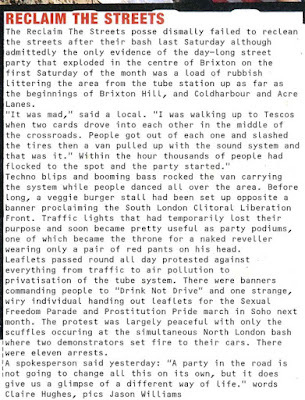 At the 22nd October 1983 demonstration some 100 Class War followers attempted to storm the stage at the rally but were unsuccessful. Whilst there is no intelligence to suggest they will attempt the same maneouvre, it is known that their 'Spring Offensive against the rich' has not so far been successful. There has been a suggestion, however, that they may use the cover of the demonstrations to go on the rampage in Mayfair and even to subvert other extremists into similar action. It is most unlikely that any other group would in fact act in this way, but if sufficient confusion can be generated these anarchists (about 100) might be emboldened to commit acts of random criminal damage. 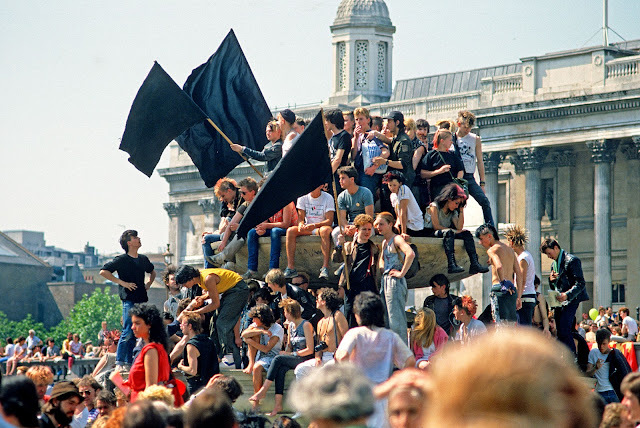 Easily identifiable, with their punk hairstyles and dirty black clothing, these anarchists will undoubtedly congregate around their black, and black and red, anarchist flags in Hyde Park prior to joining the main demonstration'. 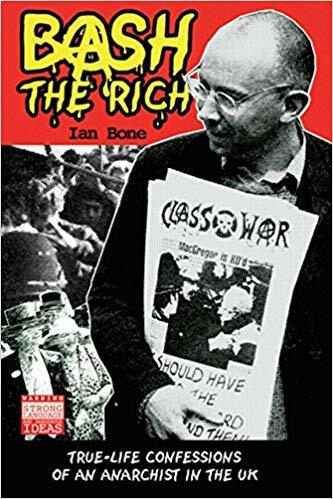 Knowing what we know now about infiltration of groups like Class War it is highly likely that undercover police were present at an organising meeting held in the lead up to the Reagan demo at the Roebuck pub in Tottenham Court Road, called by Class War with people attending from around the country. So perhaps not surprizingly the police assessment turned out to be fairly accurate. 'We couldn't get anywhere near Lancaster House and tail-ended a whooping it up anarcho-punk mob running around central London - ending up at a rally in Trafalgar Square (the opposite of what we'd intended). We had to rescue something from the day's disappointment. Thinking on our feet we decided to trash the Savoy just up the Strand. The word was spread furtively out of the corners of many mouths and about 100 black flag carriers sidled away from the rally at 4 pm and self-consciously drifted up towards the Savoy. Down the side of the Savoy towards the embankment there was a lorry load of scaffolding poles. Whoop! Go for it!. The poles came off the lorry. Red Rick - an old brick shithouse builder mate from Swansea - caves the first windows in with the poles. Crash, every Savoy glass window in sight goes in. Up and away and leg it down to the river. Five minutes and still no sign of the cops coming. OK, let's have another pop, 4:30 pm. Covent Garden - disperse, mingle and meet up there., and we'll start with the big bank on the corner. Covent Garden - no black flags now - the distant sound of belated copes getting to the Savoy. People have picked up ammunition on the way. 4:40 pm we'll go for it... Red Rick leads the way again. Two bricks straight through the bank windows. Shoppers scatter screaming. We run through Covent Garden trashing everything in sight. The sound of smashing glass cascading after us. A two minutes rampage around the streets - an American skinhead girl gets pulled for trashing one restaurant window too many'. Ian's Bone's account is pretty much as I remember it. There's an alleyway down by the side of the Savoy Hotel leading down to Victoria Embankment and most of the damage was on that side of the hotel. 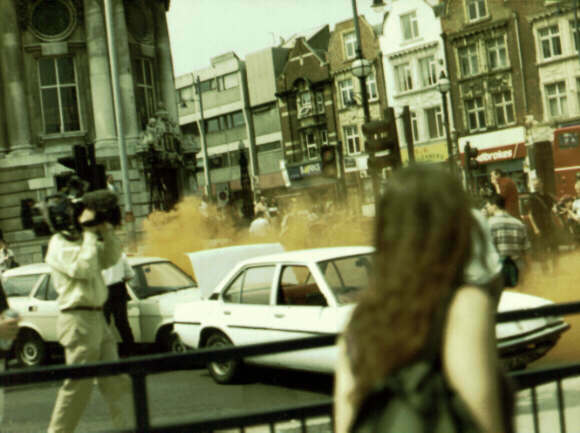 I think the main Covent Garden action was running west along King Street, there was a skip near a branch of Midland Bank (now HSBC) full of lumps of rock some of which ended up crashing through windows. I also recall a window being broken in the office of the Lady magazine nearby. All of this was taking place against the background of the first few months of the national miners strike - note banner being held up in Trafalgar Square saying 'Yorkshire NUM will win'. The Reagan demo was to be just the start of a busy weekend. The following day (10th July 1984) there was a free 'Jobs for a Change' music festival on London's South Bank, organised by the left wing Greater London Council. Fascist skinheads stormed the stage as The Redskins were playing, and I ended up with an ad hoc group of ant-fascists chasing them around the area (see here for further details of those events). 'Living London: its work and its play, its humour and its pathos, its sights and its scenes,' edited by George Robert Sims, is a remarkable attempt to give an overview of London life at the turn of the 20th century (it was first published in 1901). All the volumes can be browsed on archive.org, and provide a great resource for historians of this period. 'Such, then, is Midnight London. In all the world's capitals is dissipation found under the name of pleasure; Britain's Metropolis is no exception. The gaudy and glittering throngs swarm over the pavements; and to the midnight sightseer there is a novelty in the spectacle of brilliant toilettes and ravishing complexions now visible at the tables of the brilliantly-lighted salons, which are crowded to the doors by Pleasure's laughing votaries. To such as these mid-day London has no attractions — is dull, tame, stupid. It is not until the mighty electric flare which distinguishes modern London bursts upon the city that they feel, with Edgar Allan Poe, that " the sun mars the ecstasy of the soul "; their pulse beats quicker by gas-light, if they do not hold that "Life is diviner in the dark." London in the twentieth century, however, is never dark, and the interval seems to be growing shorter and shorter when it is ever quiet'. There's an interesting free display at Tate Britain gallery of material from radical movements and associated artists from London in 1968. 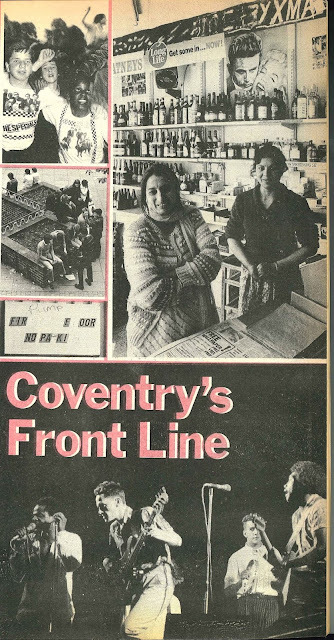 It includes film and press cuttings from the Hornsey art school and London School of Economics occupations and a selection of posters produced by the Poster Workshop in Camden. 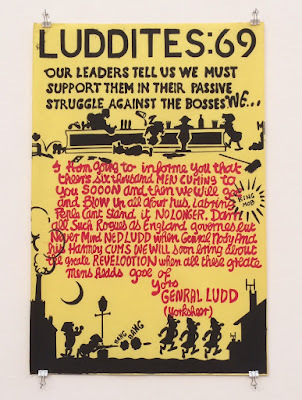 Also included are some materials from English situationist influenced group King Mob which were very critical of the mainstream student left. 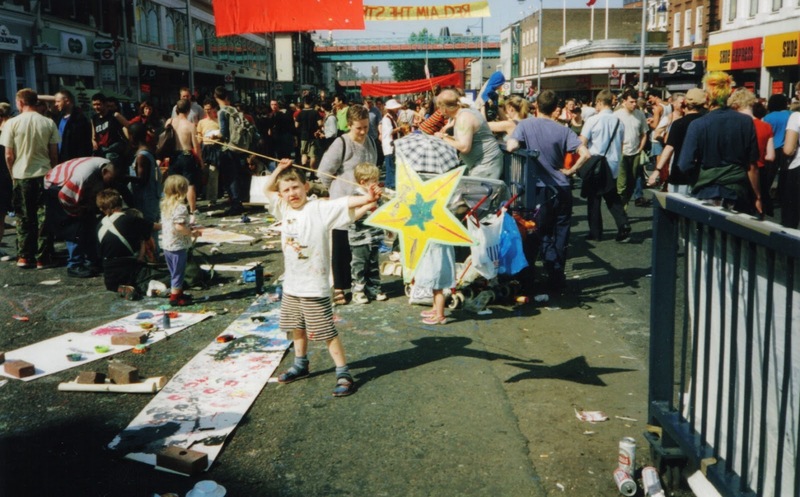 Brixton has seen many parties, but none quite like the Reclaim the Streets event on Saturday 6th June 1998 when thousands of people brought traffic to a standstill by partying in the main road without the permission of the police, Council or anybody else. 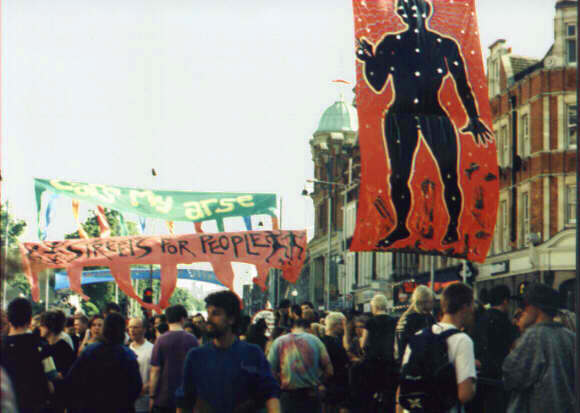 Reclaim the Streets brought together the politics of the road protest movement with the sounds and energy of the free party scene to stage a series of spectacular actions from the mid-1990s onwards, basically involving a crowd of people turning up, blocking the road and occupying it for a party. 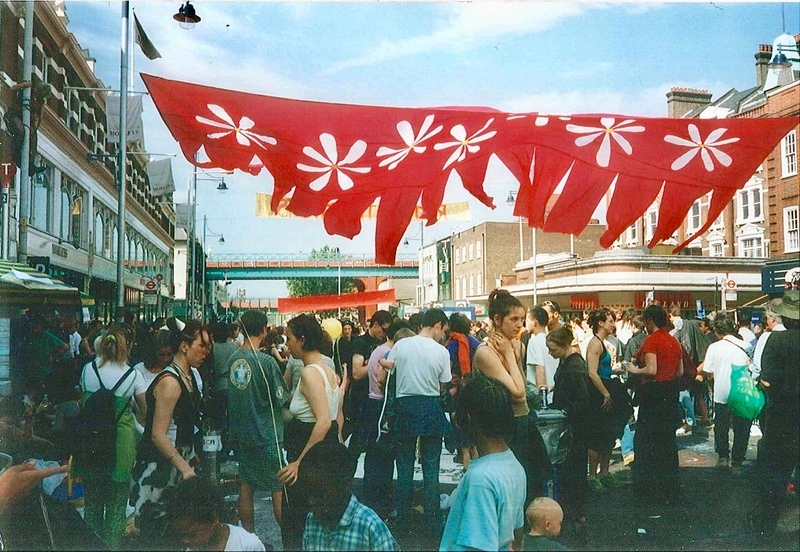 It started out in May 1995 with a party in Camden High Street and another north London party in Islington's Upper Street in July 1995 (I remember dancing to a sound system mounted in an armoured car there, which I think belonged to Jimmy Cauty of KLF). The idea soon spread around the country and indeed internationally. 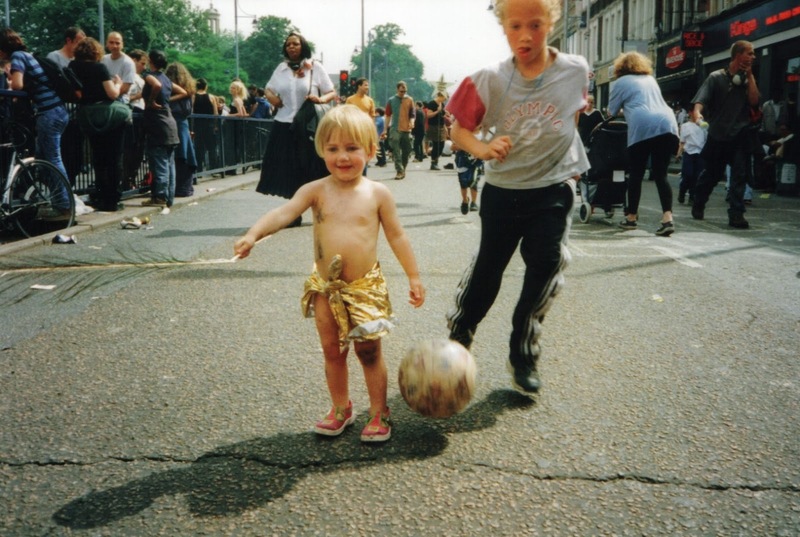 In one of the biggest actions, 6,000 people took over part of the M41 Motorway in West London in July 1996 with sofas and sound systems, and this was followed by a party in Trafalgar Square in April 1997. 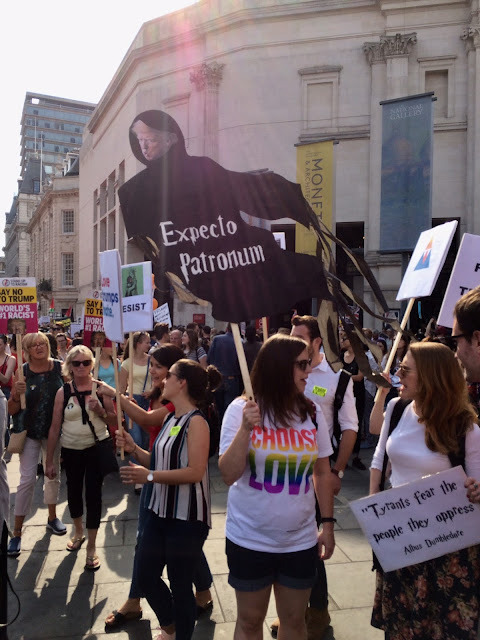 By this time the focus of RTS had widened out from roads to posing bigger questions about the use of social space and linking up with other movements - the Trafalgar Square action came at the end of a march with sacked Liverpool dockers. 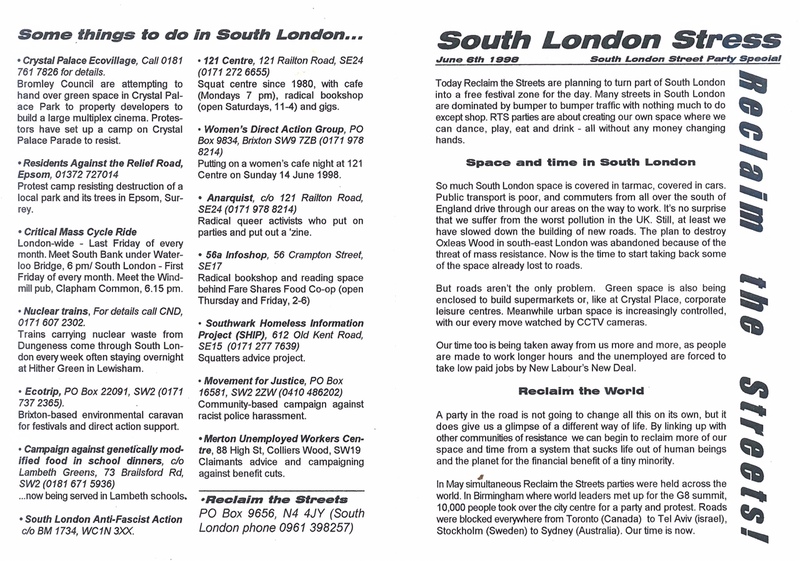 The agreed way forward was to try and organise two simultaneous parties in different parts of London, and to attempt to root the parties more in what was going on in the areas concerned. Whether the parties succeeded in linking with that elusive notion of 'local communities' is debateable, but they did involve a broader strata of local activists with knowledge of their patch and connections to the kind of resources needed to make the parties happen. The planning meetings for the South London party were held in a squatted social club in Kennington (now North Lambeth Housing Office, 91 Kennington Lane SE11 -pictured above). Sometimes there was no electricity and we talked by candlelight. At other times we met up on the roof of the building in the open air. We broke up into groups, each responsible for a particular aspect of the party. I was in a group focused on organising activities for children. One sub group was responsible for selecting the location, something that was supposed to be kept secret from everybody else until the day of the party to keep the authorities guessing. In this way too the Wednesday night planning meetings could be open to all comers without worrying about all the details becoming widely known. 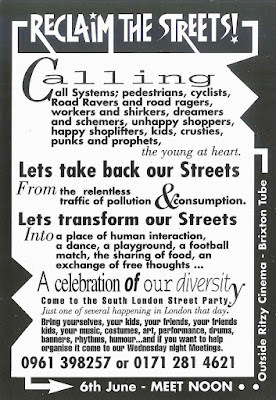 The publicity called for people to meet at noon outside the Ritzy cinema in Brixton, and several hundred people were there at the appointed time. Most party goers only knew that the party was to take place somewhere in South London. 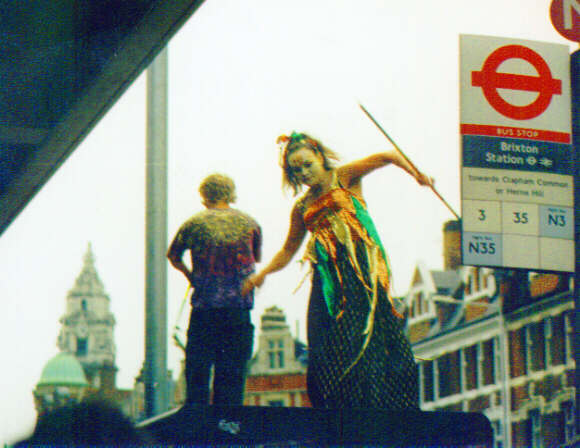 The expectation was that there would be some chasing around to get to the location – for the M41 Reclaim the Streets party in 1996, people had assembled at Liverpool Street on the other side of town and been directed by tube towards Shepherds Bush. This time though a game of double bluff was being played. In the road opposite the Town Hall two old cars crashed into each other in a pre-arranged manoeuvre to halt the traffic, a flare was let off and a few people immediately stepped into the road. After a moment’s hesitation, the crowd pushed past the police into the road, with another staged car crash at the other end of the high street blocking traffic in both directions. As we had our small children with us, we ducked into a Brixton market cafe for a bit figuring that if there was going to be trouble it would be in this period of getting set up. 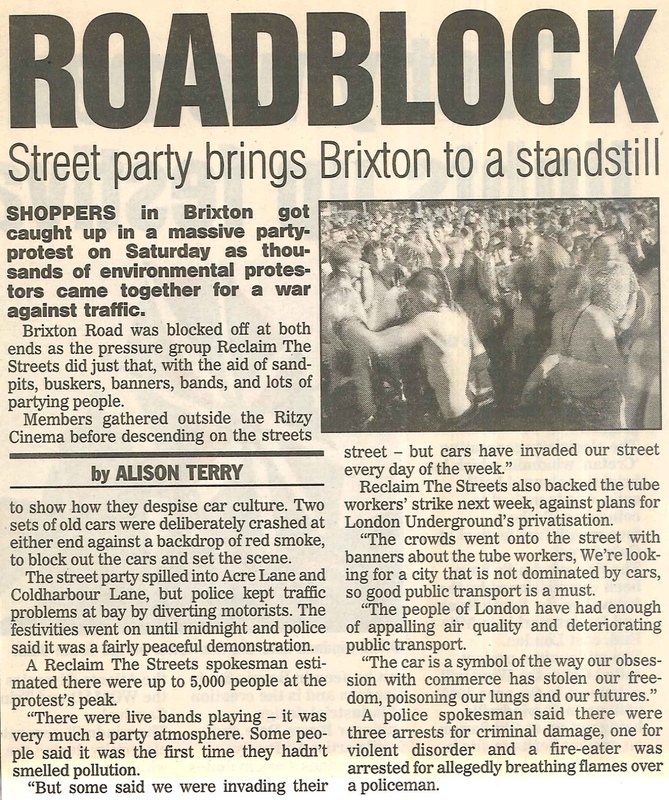 There was no trouble though, and we now know that the police must have known all along that the party was due to take place in Brixton, as one of the key organisers was an undercover cop, Jim Sutton (real name Jim Boyling). In fact he had been part of the group which had selected the location. I remember he asked if I could drive one of the vehicles for the fake collision - I guess you could call that potential entrapment though I declined as my priority on the day was to keep my kids safe. Within a short time the party was in full swing. The whole stretch of Brixton Road from the Fridge down to beyond the tube station was full of people instead of cars; Coldharbour Lane was also traffic free down as far as the Atlantic Road junction. Climbers had scaled the lamp posts and hung enormous colourful banners across the street – my favourite read ‘Under the Tarmac Flows the River – Dig Up the Effra’, referring to the lost river now flowing beneath Brixton. Others read ‘Cars my Arse’ and ‘Against Tube Privatisation’ (tube workers were due to strike the following week). 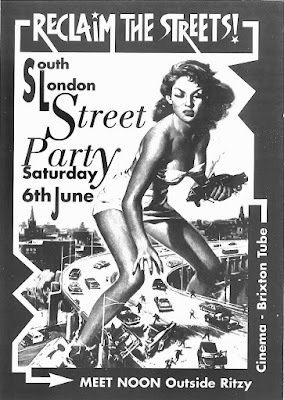 There was a huge figure of a woman – the poster and flyer for the event had featured an image from the 50s movie ‘Attack of the Fifty Foot Woman’ showing said woman lifting up cars. Another climber got a big cheer for putting a plastic bag over a CCTV camera. A red, green and black RTS flag flew on top of McDonalds. People danced to a sound system set up in a van at the junction of Acre Lane. Down by the tube station there were two more sound systems, one playing ragga and the other, a cycle-powered effort, spluttering out techno. A live music PA was set up in the road outside Morley’s store. 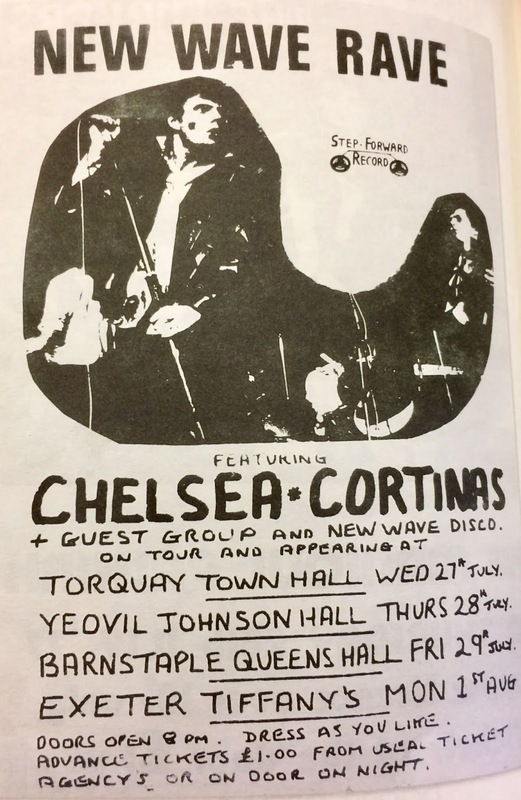 Over the next few hours it featured an all-women punk covers band (a highlight for me was ‘Teenage Kicks’), Steve Prole, Headjam, Painful and various others. On the other side of the road there was a big acoustic jam, with drums etc. There was lots of random activity, including juggling and people playing chess on the road. A sand pit in the road was the centre of the children’s area. As Past Tense recalls, police officer Jim Sutton/Boyling had pulled the trolley of sandbags to the party from where they had been stored earlier in the week in a local squat. My partner was working as a childminder at the time, so she pulled together lots of arts and crafts materials from the South London Children's Scrap Scheme, a recycling project based in Consort Road SE15 (it closed down later that year, after which it was squatted as the Spike). We had loads of gold shiny card which we made into big conical hats, and some gold fabric which was used for costumes. We hung up children's art work from washing line strung between lamp posts. 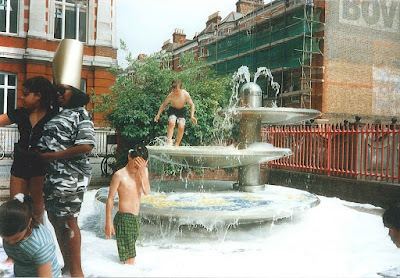 There was a paddling pool, and children were also playing in the fountains outside the library which were overflowing with bubbles - I remember seeing Jerry Dammers (ex-The Specials) round there. We gave out free Portuguese pastries donated by staff at Grace and Favour cafe in East Dulwich (workers at the café in Clapham Common also gave up the contents of their tips jar for the party). More free food was distributed by Food Not Bombs. 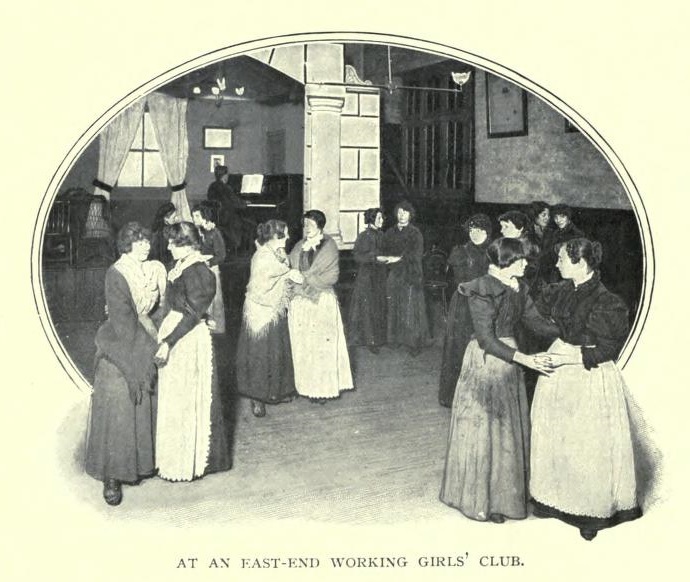 News came through that in North London a similar party had been successfully established on Tottenham High Road, after an earlier meet up at Euston Station. 'Two streets in London were reclaimed for parties and the people shortly before two o'clock today. 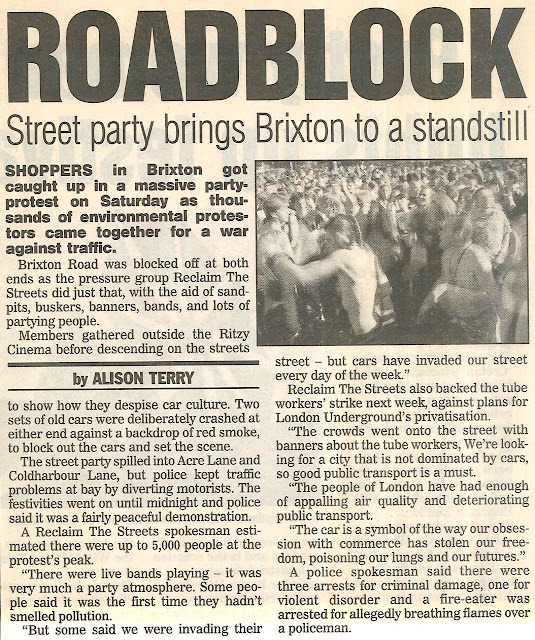 By mid-afternoon the crowd near Seven Sisters station had grown to over 5000 people and a similar number partied in Brixton. The parties finished at about 9pm. 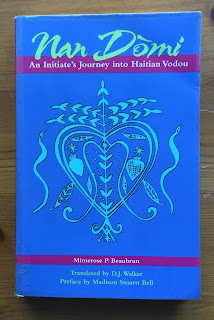 At the time of writing (10:30 pm) about 300 people remained outside Brixton Town Hall, listening to two groups of drummers in the almost-Mediterranean promenade atmosphere of a warm summer evening. Police continued to appear relaxed, and this time avoided the mistake of sealing off people's exit routes. In North London, someone set fire to two old cars after the end of the party. 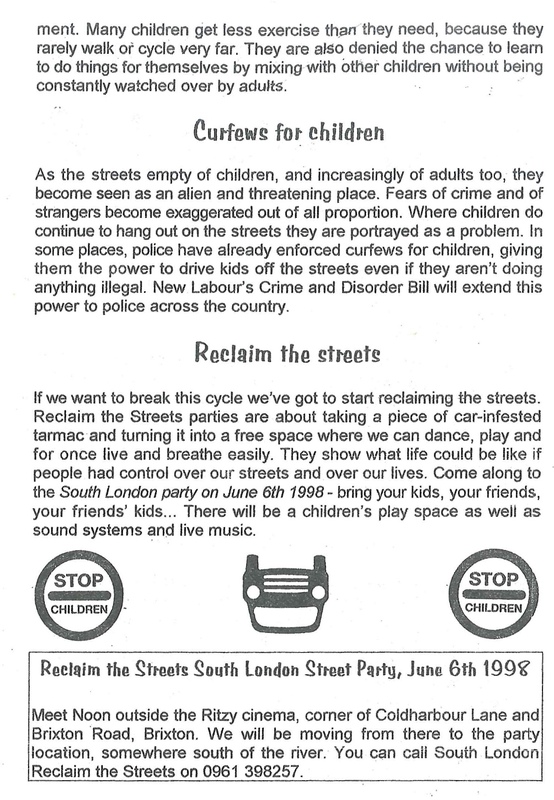 RTS would point out that these were our cars, obtained to block the road, and that some of the most "aggressive" acts of which we are aware during the day were the enthusiastic reduction of these same cars to scrap, by a group of five- and six-year-olds. As the smell of exhaust returned to the streets of Brixton, a participant commented "The whole of Brixton has been here with a real sense of community." Let this be a premonition of a time when the present conditions of our lives will be no more than a memory'. The streets used to be a place where children could run around, play and hang out with their friends. Today children are taught that the streets are dangerous and that they should keep off them. More and more children are being brought up like battery chickens - living most of their lives indoors, except when they are being driven around in their parent's car between home, school, the supermarket and short bursts of supervised play. The biggest problem is that the streets are dominated by cars. In the UK, the number of vehicles on the road has increased from 8 million in 1960 to 24 million and rising today. When a fast moving lump of metal hits a child's body there's no contest. In the last 20 years, 200,000 children have been killed or seriously injured by cars, two-thirds of them while walking or cycling. Instead of removing this danger from our children, we remove our children from the danger - by keeping them at home. 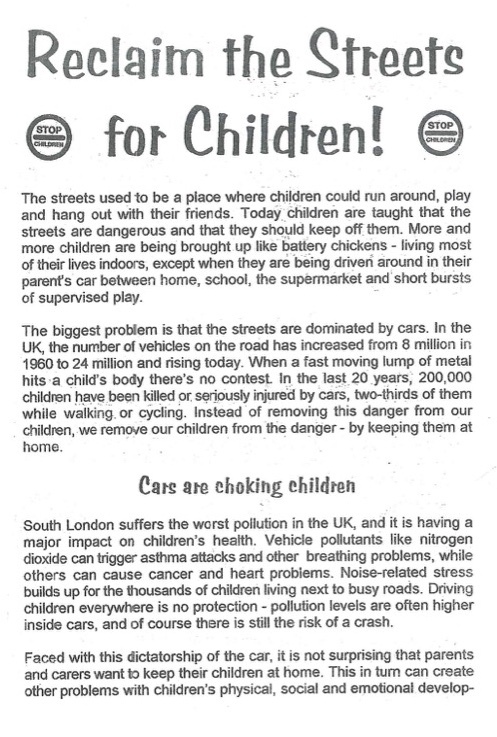 South London suffers the worst pollution in the UK, and it is having a major impact on children's health. Vehicle pollutants like nitrogen dioxide can trigger asthma attacks and other breathing problems, while others can cause cancer and heart problems. Noise-related stress builds up for the thousands of children living next to busy roads. 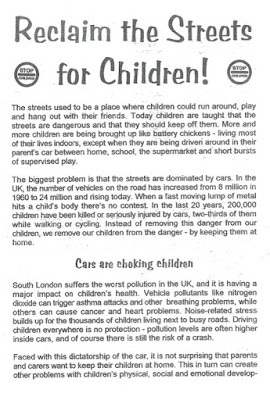 Driving children everywhere is no protection - pollution levels are often higher inside cars, and of course there is still the risk of a crash. 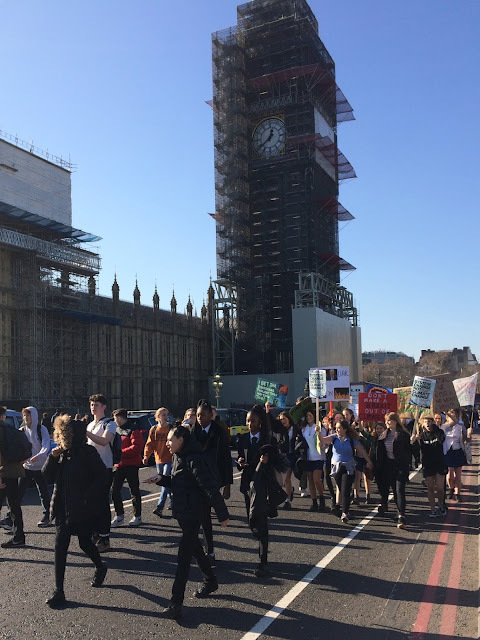 Faced with this dictatorship of the car, it is not surprising that parents and carers want to keep their children at home. This in turn can create other problems with children's physical, social and emotional development. Many children get less exercise than they need, because they rarely walk or cycle very far. They are also denied the chance to learn to do things for themselves by mixing with other children without being constantly watched over by adults. As the streets empty of children, and increasingly of adults too, they become seen as an alien and threatening place. Fears of crime and of strangers become exaggerated out of all proportion. Where children do continue to hang out on the streets they are portrayed as a problem. In some places, police have already enforced curfews for children, giving them the power to drive kids off the streets even if they aren't doing anything illegal. New Labour's Crime and Disorder Bill will extend this power to police across the country. If we want to break this cycle we've got to start reclaiming the streets. 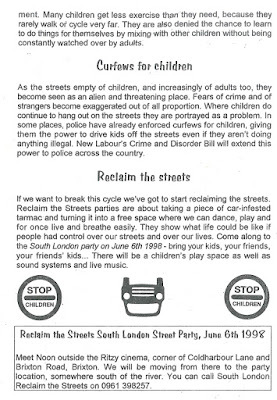 Reclaim the Streets parties are about taking a piece of car-infested tarmac and turning it into a free space where we can dance, play and for once live and breathe easily. They show what life could be like if people had control over our streets and over our lives. 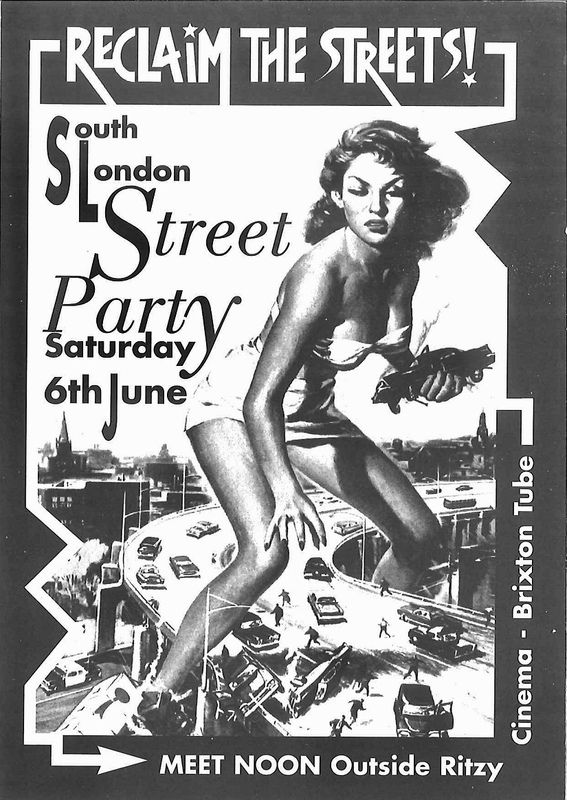 Come along to the South London party on June 6th 1998 - bring your kids, your friends, your friends' kids... There will be a children's play space as well as sound systems and live music'. Since the first RTS party in Camden in 1995 the idea has spread throughout the country and internationally. A few weeks ago (May 19th) simultaneous street parties were held across the world. In Birmingham where world leaders met up for the G8 summit, 10,000 people took over the city centre for an RTS party and protest. Roads were blocked everywhere from Toronto (Canada) to Tel Aviv (Israel), Stockholm (Sweden) to Sydney (Australia). Our time is now'. 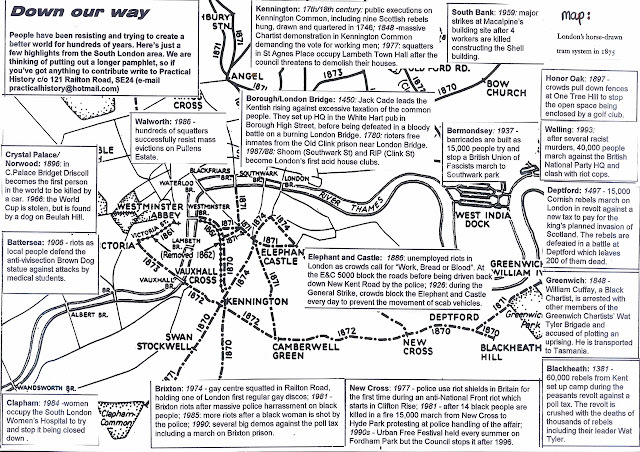 The leaflet also included a South London radical history map, with episodes featured included the 1897 protests against the enclosure of One Tree Hill, anti-fascist protests in Bermondsey (1937), Lewisham (1977), Wellling (1993), the Peasants Revolt and the death in 1896 of Bridget Driscoll at Crystal Palace - believed to be the first pedestrian in the world to be killed by a car. 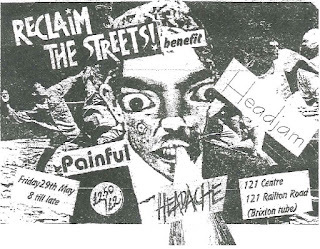 The week before the party there was an RTS benefit gig at the 121 Centre with Headjam, Headache and Painful. Autonomous Astronauts were strongly represented at the South London Reclaim the Streets party on June 6th. 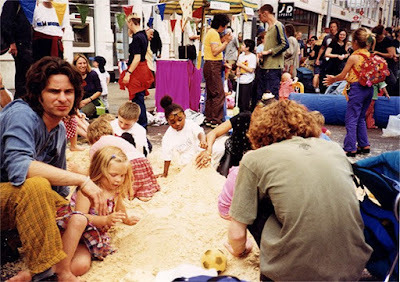 Following simultaneous staged car crashes at both ends of Brixton high street hundreds of people poured into the road for a day long free party with sound systems, a sand pit and much more. 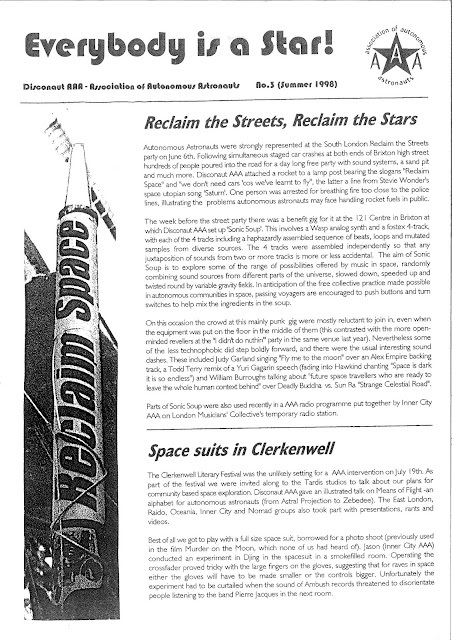 Disconaut AAA attached a rocket to a lamp post bearing the slogans "Reclaim Space" and "we don't need cars 'cos we've learnt to fly', the latter a line from Stevie Wonder's space utopian song 'Saturn'. One person was arrested for breathing fire too close to the police lines, illustrating the problems autonomous astronauts may face handling rocket fuels in public. The week before the street party there was a benefit gig for it at the 121 Centre in Brixton at which Disconaut AAA set up 'Sonic Soup'. This involves a Wasp analog synth and a fostex 4-track, with each of the four tracks including a haphazardly assembled sequence of beats, loops and mutated samples from diverse sources. The 4 tracks were assembled independently so that any juxtaposition of sounds from two or more tracks is more or less accidental. The aim of Sonci Soup is to explore some of the range of possibilities offered by music in space, randomly combining sound sources from different parts of the universe, slowed down, speeded up and twisted around by variable gravity fields. In anticipation of the free collective practice made possible in autonomous communities in space, passing voyagers are encouraged to push buttons and turn switches to help mix the ingredients in the soup. On this occasion the crowd at this mainly punk gig were mostly reluctant to join in, even when the equipment was put on the floor in the middle of them (this contrasted with the more open-minded revellers at the "I didn't do nuthin" party in the same venue last year). Nevertheless some of the less technophobic did step boldly forward, and there were the usual interesting sound clashes. 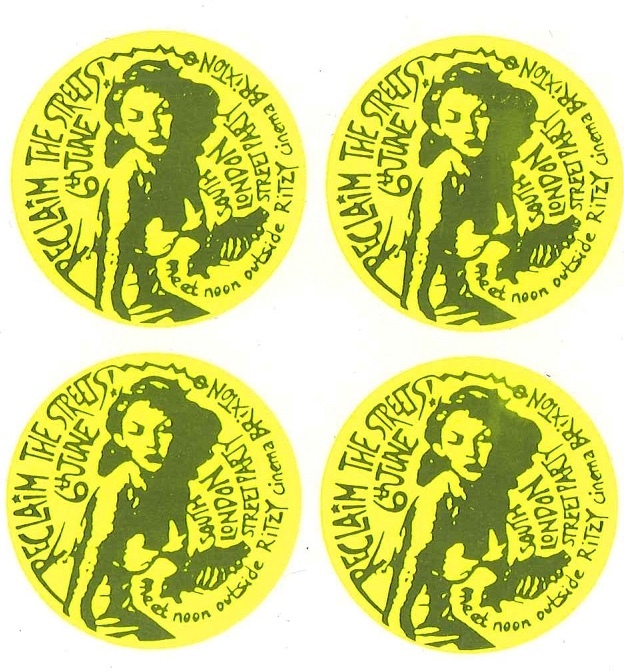 These included Judy Garland singing "Fly me to the moon" over an Alex Empire backing track, a Todd Terry remix of a Yuri Gagarin speech (fading into Hawkwind chanting "space is deep it is so endless") and William Burroughs talking about "future travellers who are ready to leave the whole human context behind" over Deadly Buddha vs Sun Ra "Strange Celestial Road". Parts of Sonic Soup were also used recently in a AAA radio programme put together by Inner City AAA on London Musicians' Collective temporary radio station' (from Everybody is a Star! no. 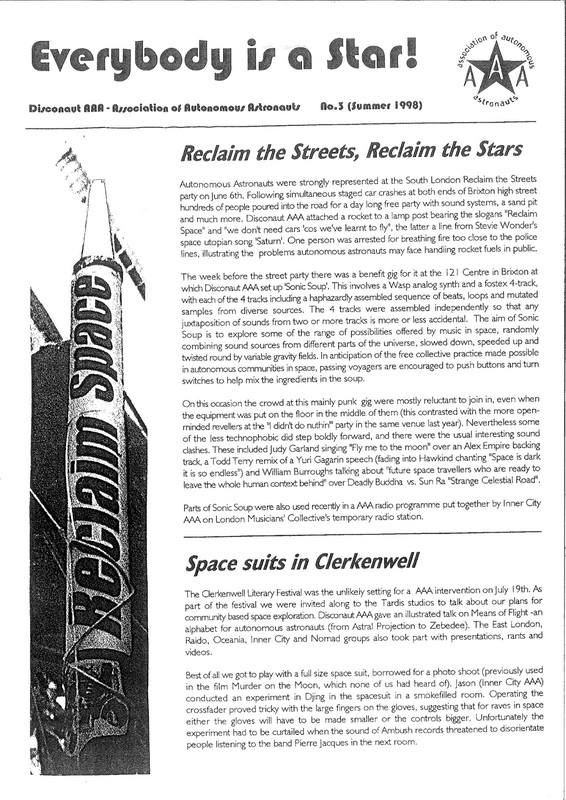 3, Summer 1998, newsletter of Disconaut AAA).